The Lonsdale classic leather holdall is hand made from genuine leather and provides high quality and durability. The holdall has one main compartment and a separate zipped sleeve at the bottom. The Lonsdale logo has been hand stitched to the side. The holdall is 43cm (17”) long, 27cm (11”) wide and 30cm (12”) high. 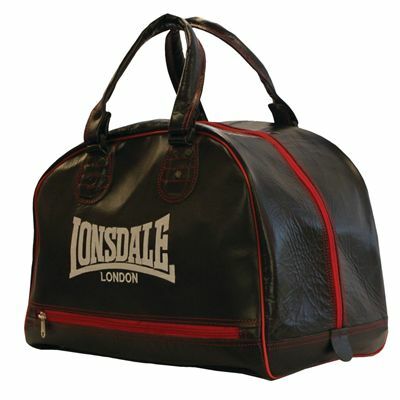 for submitting product review about Lonsdale Classic Leather Holdall.